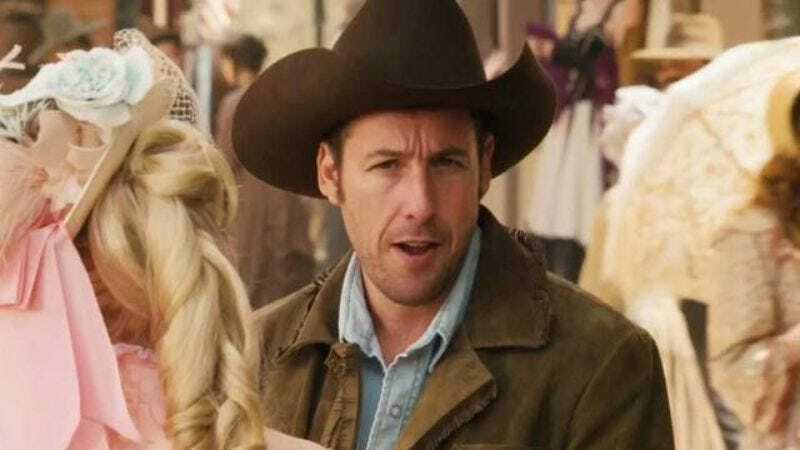 Earlier this year, a group of Native American actors, primarily from the Navajo nation, walked off the set of Adam Sandler’s Netflix movie The Ridiculous Six after deciding that their people had already suffered too many indignities to put up with playing characters named “Beaver’s Breath” and “No Bra.” But Sandler, never one to let such petty concerns as “taste” shackle his comedic muse, didn’t stop there. According to “cultural consultant” Bruce Klinekole—unsurprisingly, the first to quit in protest—the crew also used bronzer to darken the skin of actors, including full-blooded Native Americans. I talked to some of the actors on the set who were there and let them know that the intention of the movie is 100 percent to just make a funny movie. It’s really about American Indians being good to my character and about their family and just being good people. There’s no mocking of American Indians at all in the movie. It’s a pro-Indian movie. So hopefully when people see it — whoever was offended on set and walked out, I hope they realize that, and that’s it. It was kinda taken out of context. It’s kind of like how I Now Pronounce You Chuck And Larry was pro-gay, because it had gay characters in it. Or how Happy Gilmore was pro-Bob Barker, because Bob Barker was in it. Kind of like that.